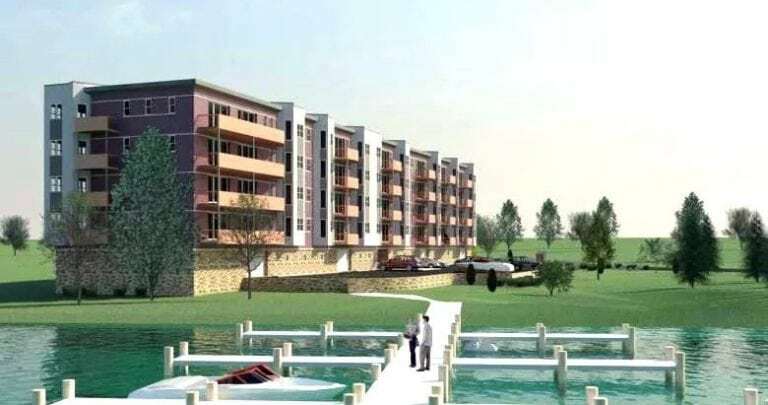 Proposed 24-unit condominium building on Diamond Lake in Mundelein, IL. 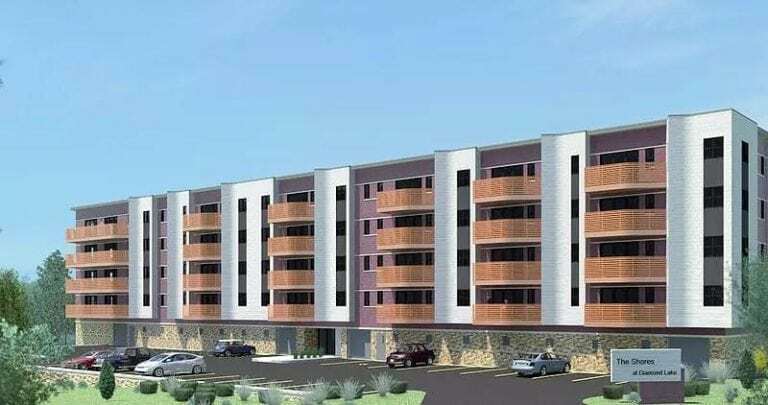 The building has 4 floors of residential over one story of indoor parking. 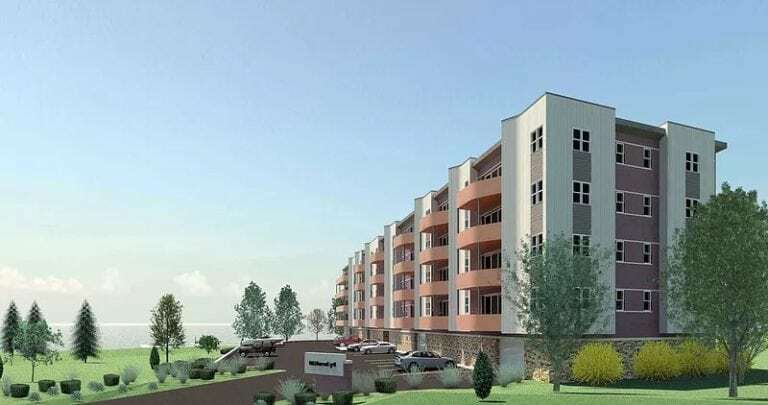 The long building is situated perpendicular to the lakeshore; the desire to offer lake views to each condominium influenced the arrangement of the balconies and bays.